This 2008 Pro-line is powered by an Evinrude 200 HO engine. The extras include upgraded blue hull color, hardtop T-Top with storage, pull out rear bench seating, live wells, side gunnel rod storage, compass, forward storage and also cushion seating, a potty area in the center console and more. 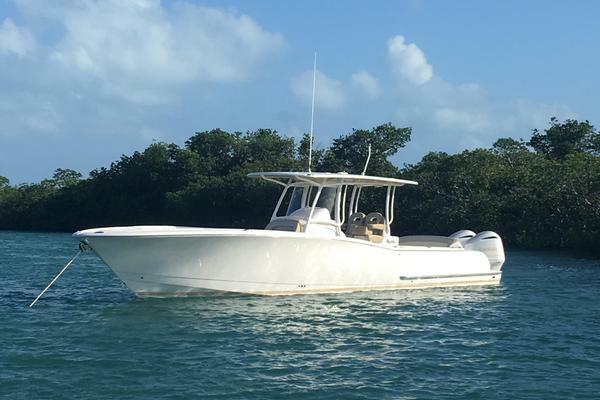 West Florida Yachts would love to guide you through a personal showing of this 23' Pro-Line 23 Sport Series 2008. This yacht for sale is located in Stuart, Florida and priced at $27,000. For a showing please contact us by filling out the form on this page and we will get back to you shortly!